What happens when three riders decide to tackle over 25,000 miles spread over 15 countries on converted electric motorcycles? 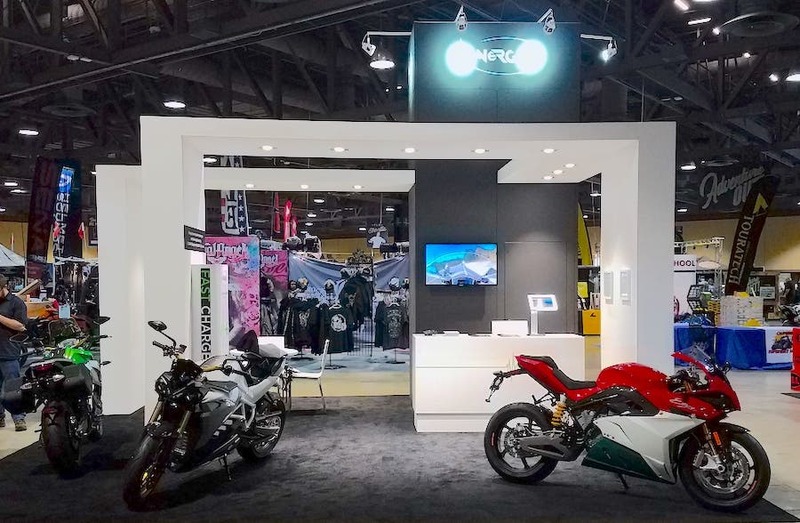 It not only shows that electric vehicle technology is mature enough to handle long trips; it also shows traditional motorcycle companies lag way, way behind on electric mobility. Three Riders + 25,000 Miles + Electric Motorcycles = Traditional Motorcycle Makers Need To Wake Up! It’s mind numbing to see how electric motorcycles (e-motorcycles) have thoroughly shown that the technology is not only ready but has bested traditional gasoline motorcycles in racing. Today’s e-motorcycles have come a long way from a decade ago, when the only thing available was … well, nothing really. A few people were working on converting existing gasoline motorcycles to electricity and that was about it, at least here in the US. Traditional motorcycle companies scoffed at the idea of replacing the highly inefficient opposing piston internal combustion engine (ICE) design with an electric motor giving full torque as soon as it spins. It’s too bad, because if anyone understands the difference between torque and horsepower, motorcycle riders do. Why do some riders prefer the voluptuous power curve of a BMW boxer? Torque. Why do some riders prefer screaming Japanese crotch-rockets? Horsepower. Either way you look at it, motorcycle riders are not high in number but are savvy and vocal. Unfortunately for the motorcycle industry, they’re buying less. And it’s no wonder considering what passes off as new motorcycles these days, which are nothing more than yesterday’s designs and logos redesigned a bit. How come motorcycle riders get it regarding e-mobility? The answer might seem superficially easy to explain. Traditional motorcycles, much like their four-wheel counterparts, suffer the same dreadful maintenance and planned obsolescence turnoff. It wasn’t until a few years ago that Ducati begrudgingly raised the desperately low-valve tuneup from 6,000 miles to 12,000. 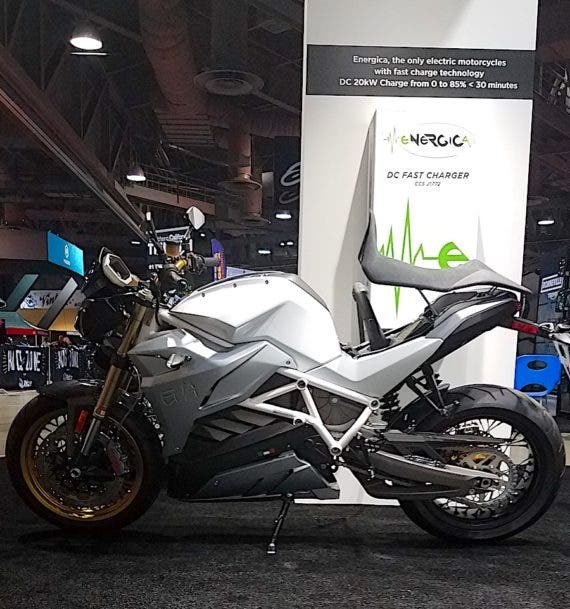 Tuning engines, chains, and the regular rigmarole associated with ICE technology is a deterrent to broader use and more frequent use, and e-motorcycles have a lot less of that. Electric motorcycles don’t have that nagging “engine maintenance” problem. Of course, motorcycles are not ridden as much as cars. This is mostly due to weather or lack of cargo/passenger space. They also have to deal with blissfully unaware car drivers, another serious problem. But enough ranting! The topic is very long-distance electric mobility trips on two wheels. What made Ferrari famous was that you could drive the cars on weekdays, race on weekends, and drive to work with the car on Monday … provided you didn’t crash during the weekend. And motorcycle companies took up that ideal in earnest to sell their bikes. But Richard Hatfield proved with his Lightning Motorcycle at the Pikes Peak International Hill Climb of 2013 that e-motorcycles were head and shoulder above their antiquated ICE cousins. The e-motorcycle put over 20 seconds in front of the best Ducati that year. We heard other motorcycle makers at the race mumbling they needed to do something similar. But that was 5 years. We’re still waiting. Should we even mention the Alta Motors Geneva Supercross win on a client’s Redshift MX from the previous year after Josh Hill’s Redshift didn’t make it to the race in time? How much more beating and humiliation can traditional motorcycles take? If you’ve ever watched The Long Way Around with Ewan McGregor and Charley Boorman, you also need to watch The Long Way Down to get you itching to do the same with e-motorcycles. Doing an international e-motorcycle trip — now, this raises the difficulty to a higher level. The International Electric Motorcycle Trip! That’s exactly what J.C, Danell Lynn and Greg Smith decided to do. The route starts in Prudhoe Bay in Alaska and ends in Tierra del Fuego, Argentina. The e-motorcycles used are converted from a KTM Adventure 950 #1 and a KTM Adventure 950 #2. Both of these motorcycles are not highway cruisers. Instead of the all-terrain BMWs Ewan and Charley chose, this team opted for more dirt/trail bikes. The original bikes were Expedition Electric 950 KTM dual sport 250 cc chassis or smaller. They were converted by motorcycle master Chris Bell. Bell had to make the chassis bigger by installing a 20kW battery pack. The e-motorcycles should have a range of about 300 miles (about 484 km). They sport an oil-cooled AC motor with regenerative brakes. They were chosen because they can be ridden on all road conditions. Racing EVs work. Much the same as racing established the performance car brands of the 1950s, ’60s, and ’70s, that is happening with e-motorcycles and will continue to happen with electric mobility across the board. We’ve been big proponents of e-motorcycles for a decade for many reasons. Motorcyclists are technically savvy and don’t need to be sold on torque versus horsepower. Yes, range is still an issue since most riders like to take their bikes out on weekend tours. Only a handful of e-motorcycles have fast-charging capacity. As more adopt fast charging and stations sprout on scenic highways, we’ll see more e-motorcycles everywhere. In the meantime, e-motorcycles see their range increase every year. They also require smaller battery packs and are fairly easier to convert to electricity. Above all, motorcycle riders are vocal. And this intercontinental road trip is one example of how they can be. We can’t wait to see how this electric motorcycle trip through North, Central, and South America turns out. This is the Panamerica taken to a whole new level — with electric motorcycles! 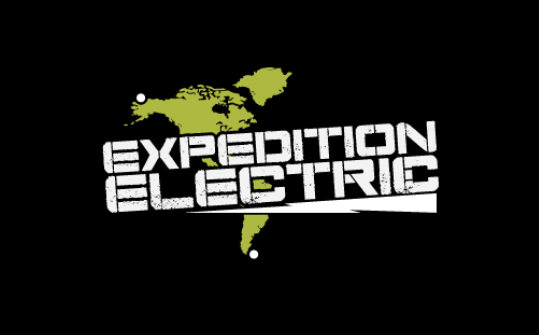 You can follow the electric motorcycle international trip on Facebook, Twitter, Instagram, and YouTube.